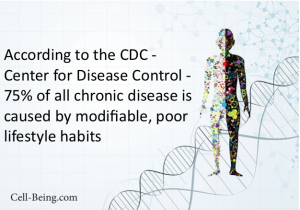 The many choices we make and how they influence our health, or are sabotaging our best efforts. Hip pain, shoulder pain, lower back pain, poor sleep habits, sleep apnea, fatigue, insomnia, stress, allergies… could easily be time to invest in a new mattress. Quality sleep is an excellent investment in our health. A good night’s sleep is just as vital to health as healthy eating, exercise and breathing. It is not defined by the number of hours, a good night’s sleep is defined by quality sleep and how refreshed we wake in the morning. If we wake up feeling like we were hit by a speeding locomotive – this is not acceptable. Unfortunately, this is often blamed on “I’m getting old”, or “I guess I did too much yesterday”. I urge everyone to make sure they are sleeping on a good, supportive mattress. Hip pain and shoulder pain are extremely common, and are usually scapegoated onto our activity or our lack of activity. Lower back pain is the number one reason for workplace absenteeism. Baby Boomers are suffering in exponential numbers from aches and pains, and unknowingly much of it is controllable, it is not a necessity of ageing. If you wake up with a stiff, sore back, does the pain subside after about a half hour? That is a good sign your sleep surface might not be right for you. If you wake up frequently, toss and turn, don’t feel your sleep is restful, consider the mattress. Here is an experiment. Go sleep on another mattress in your home for a night. Wake up feeling different? If you are travelling sleeping in a nice hotel bed, pay attention if you wake up feeling better… hmmm… We tend to notice pain, but we can often miss the relief of waking up without pain – not acknowledging it. Make sure you do some of your own research first. Speak to health professionals who have an in depth knowledge of posture, pain… and yes pressure points. For this reason pocket coil and memory foam mattresses are dominating mattress production. There is still a great deal of variance in both of these categories. 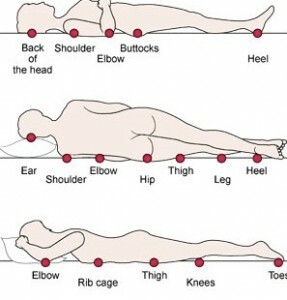 Pressure points: Consider a Back sleeper, stomach sleeper, and a side sleeper. When sleeping, the body has all its weight resting against the mattress, you are not supporting yourself. Your body weight presses against certain areas of your body that take most of your weight due to their placement. This differs slightly between men and women, as women have their weight centred around their hips, whereas men are more top heavy and have their weight centred on their shoulders. Regardless of sleep position, hips and shoulders take the brunt of the pressure. If your sleeping surface is too hard or is just angering your pressure points, you will sleep badly and we hold the body in tension to support ourselves. And just throwing this one out there – this is also really bad for breathing!!! A mattress is comfortable when it supports your sleep position and cradling the pressure points, not fights them. The surface presses up around the pressure points supporting the area protecting it from pressing heavily against the mattress. One more to throw out there – sleep apnea – holding our breath while sleeping is a potentially serious problem. Yes, your sleeping surface can make a huge difference to sleep apnea. Another factor to consider when choosing a mattress. People often hang on to a mattress far too long. Mattresses have also evolved over the last number of years. The thought use to be “buy the firmest mattress you can”. Well, now we know that is just not the case. As you will see researching a mattress, many decisions need to be factored into purchasing the right mattress. Buy yourself the very best Christmas gift – buy yourself a gift of health – a good mattress. Just like being a good parent, we need a mattress that treats us with tender loving care, yet is firm and supportive.